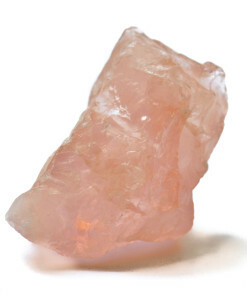 History/Mythology – For centuries rose quartz has been used as a love and fertility crystal. It has also been used for healing all female disorders and healing problems of the heart. Rose Quartz stands for unconditional love and peace. 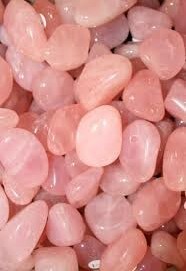 Rose quartz has the ability to make us be gentle and yet firm in our belief system and stay true to our heart. It help to purify the heart, and open it to the love that surrounds us all. It is a very calming stone. It helps attract love not just to you but also allows you to give love more freely. Makes us more aware and able to feel Self-love and acceptance in ourselves for who we are. Encourages a strong heart, romance and the ability to love. Releases unexpressed emotions and any past heartaches we might be holding. Is very soothing and comforts any grief we are feeling and then encourages us to forgive ourselves and others and move forward with trust.